I know, I know – no one likes junk mail, whether in electronic or mailbox-jamming form. But hear me out for a sec. Even when the country is not in an economic recession most of us appreciate the value of a good deal. 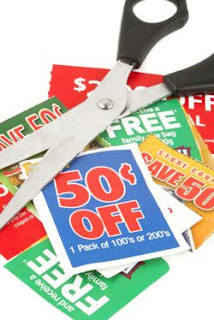 From coupons to savings clubs, most stores offer some sort of discount program for their customers. But who really has the time to be at every store to take advantage of every deal? Depending on how often you visit your local grocery store, you could end up missing some great money-saving specials on things you regularly use. This is why paying attention to those super-annoying mailers that come in the mail can come in very handy. There are fantastic sales and specials happening at almost every store at any given time of the year. Holidays and special events like the Super Bowl, etc., will bring about even better deals because stores are counting on the public to be buying more for these events. But even the everyday deals can be spectacular if you just take the time to skim over those piles of junk mail that end up in your mailbox on a weekly basis. I recently spotted some crazy deals on produce that were being offered by my favorite Mexican grocery store, La Superior: $0.69 cantaloupes (price per melon, not per pound! ), key limes for just $0.79/2 lbs., Roma tomatoes for just $0.89/lb., etc. My eyes continued to bulge out of my skull when I kept looking and saw they had chicken drumsticks on sale for just $0.79/lb, as well as some other incredible meat & cheese deals. These are prices that beat practically any other store I frequent! Because I don’t go to La Superior that often due to its location, I am not always aware of weekly specials that I could definitely take advantage of, so their little mailer makes for a great reminder to go there instead of someplace like Safeway (or even my beloved Trader Joe’s) for certain items. Is it a bit out of my way? Sure. But the small amount of extra effort is totally worth savings like the ones I mentioned above, especially when you’re dealing with a very small budget. A 10 minute bus ride that can save me about $10 or more on food I eat regularly is well worth it to me. Grocery stores aren’t the only ones that offer great deals. Though I’m guilty of ignoring the drugstore circulars most of the time, when I do look at them I find some amazing specials on things that I definitely use, even if they’re not food related. Specials on paper products, cat food, and even random food deals like $0.25 cans of tuna are not uncommon in my weekly Rite Aid or CVS mailers. For those who like to entertain or have that nightly glass of red wine, these annoying little drugstore flyers can be a great money saving resource, as there are sometimes amazing sales on brand name wine and liquor. Let’s not forget the restaurant mailers either! Though I generally advocate for cooking at home to save money and gain a better appreciation for food, I still enjoy having someone else cook for me from time to time. Though a lot of the coupons you find in some of these mail circulars are for fast food, other money saving publications like the Penny Saver will feature wonderful specials from sit down restaurants. I often find deals like “Buy One Entrée & Get the 2nd at 50% Off”, or “Free Dessert with Purchase”, etc. Though times are tough for everyone right now, it is always nice to go out to eat, and these little deals can make things a little more delicious and relieve some of the guilt of going out when you’re strapped for cash. Now, I’m not saying that you should go shopping or go out to eat just because there’s a great deal in a mail circular. That kind of mentality never saved anyone any money or time. In fact, it does the exact opposite, forcing you to spend money you could probably use for something else simply because there’s a fabulous sale on a particular product. So the first thing to keep in mind when going through these mailers is to exercise some restraint and focus only on the things you would actually use. For example, the “Buy Two Get One Free” special on some flavored coffee creamer may be a great deal for those who drink a lot of coffee, but for someone like me it would make no sense to take advantage of this offer because I only drink one cup of coffee a day. I’d be drowning in creamer if I bought so many! In this case, it’s simply better for me to get the one creamer I will use and save myself that extra $3 or so. One should also take stock of what one already has to make sure you’re not buying in excess before using what’s already available. You all know how I feel about tomatoes, but even at the crazy $0.58/lb that Safeway is currently offering Roma tomatoes for, there’s simply no need for me to get anymore when I already have about 15 tomatoes in my fridge. Sure, I could turn those tomatoes into a million different things, but it would also be using money that I need for other stuff. There will always be another time to purchase said tomatoes, even if the deal is not as incredible. But Poor Girl, what if I just don’t have the time to look through all of this junk? Though it doesn’t take that much time to skim through all of these offers, it can be hard to remember to look through them every single week. I’m actually very guilty of this; most of the time I just file all of this stuff, Penny Saver included, right in the recycling bin, mentally smacking myself later for not having checked out what deals were being offered that particular week. Fortunately we live in the age of the blogger, and there are some fantastic blogs out there that share both local and national specials with their readers. Sites like Thrifty Florida Mama, Coupon Geek, and my newest favorite, Bounty and Savings, are all wonderful resources for the latest in online coupons and in store deals. They do most of the work for you and if you subscribe to their feed, this info is simply delivered to your email inbox for you to access whenever you can.